عندما تزور بيمبيرتون, ستشعر أنك في بيتك في Rainbow Trail Chalets الذي يقدم لك إقامة متميزة و خدمات عظيمة. يمكن من هنا للضيوف الاستمتاع بسهولة الوصول إلى كل ما تقدمه هذه المدينة النابضة بالحياة. إن سهولة الوصول من الفندق إلى المعالم السياحية الشهيرة الكثيرة في المدينة كمثل Pemberton Discovery Center open 7 days, ‪Pemberton Artscape‬, ‪The Pemberton Visitor Centre & Museum‬ هو استثنائي بحد ذاته. يقدم Rainbow Trail Chalets خدمات لا غبار عليها وكل أشكال اللياقة وحسن الضيافة اللازمة لإسعاد ضيوفه. يقدم هذا الفندق العديد من الخدمات الكفيلة بإرضاء أكثر الضيوف تطلباً. ادخل إلى واحدة من الغرف 4 وتخلص من عناء نهار طويل بمساعدة مجموعة كبيرة من الخدمات كمثل حوض الاسترخاء, غرف لغير المدخنين, مكيف هواء, تدفئة, شرفة/ تراس الموجودة في بعض الغرف. يمكنك طلب اللائحة الكاملة للخدمات في الفندق ومن بينها مسارات المشي, سبا, حديقة. مهما كانت أسبابك لزيارة بيمبيرتون، فإن Rainbow Trail Chalets هو الخيار الأفضل لإقامة مثيرة وممتعة. The chalet was very clean, spacious and well equipped. 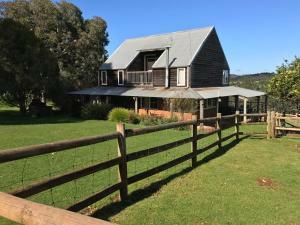 Great location with views of farms and forests (with lots of Roos and emus around) and next door to several forest walking/BMX tracks. Close to town also. Hosts were very friendly and helpful. beautiful walks, vineyards, Jacks brewery, Goblin marsh, the dam, had a great couple of days, really enjoyed our stay, Places were clean & comfortable & i'm fussy.Staff warm & friendly & the place was so peaceful. Our well appointed chalet was ideally situated on the edge of the trails with stunning views from the deck and most windows. The bed was very comfortable and the bathroom was massive with a lovely spa bath complete with candles. We were visited by a kookaburra , wrens, emus and handfed many 28 parrots. We will be back. Our chalet was lovely and the location superb. Lots of birds and roos visiting each night. Such a beautiful place to stay. So much thought has gone into these well appointed chalets. Absolutely love the hardwood floors. Quality chalets with all the creature comforts. Beautiful views. We stayed in chalet 4, nice & private. Katrina & Steve were wonderful friendly hosts. Great place to be in the winter. All the creature comforts of gas fire, electric blankets, spa bath, nespresso machine. Just bring milk. Great views into the karri forest. No2 chalet has great view of farm animals too, on occasion may see a pony outside bedroom window. No wifi though a good excuse to be offline. Stunning cottages with stunning views in a handy location. I particularly enjoy the short walk into town via the trail. Very well equipped kitchen meant that cooking our marron, bought from Forest Fresh Marron nearby, was a breeze. A selection of DVDs are also supplied just in case you feel like a night or day in. I just love staying here! We had 3 lovely nights here and would definitely book again. The chalets were warm and cosy, with all the comforts of home. Was awesome sitting in the spa watching the storm outside! The owners are super friendly and make you feel like nothing is too much trouble for their guests. Chalets are spotless and grounds are well kept and picturesque. Highly recommend Rainbow Trail Chalets! location was great! Beautiful natural surroundings! 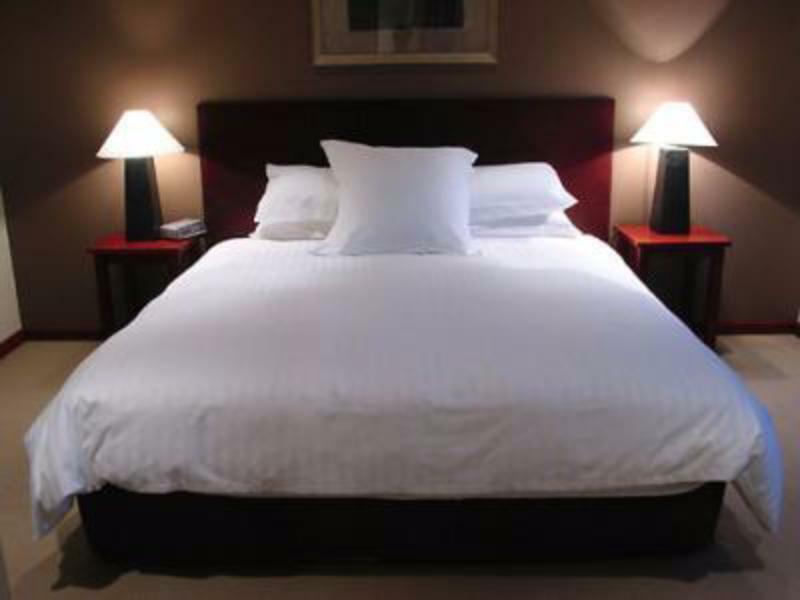 Clean and spacious accommodation! Very well designed too! Love the luxury feel. Spotless. Very friendly hosts. Only 2 kms to main street of Pemberton. Would stay hear again without any hesitation. Saw plenty of bird life of parrots and kookaburras. Satellite TV, iPod dock, spa, huge bathroom, big windows all round, balcony, bbq, fully equipped kitchen with dishwasher and Nespresso coffee maker, polished wood floors, comfy big bed with lovely soft pillows. Right next to Bibbulmun track, forest and river. Bird life galore. Fantastic! We had a fantastic 3 day break at the Rainbow Trail Chalets. 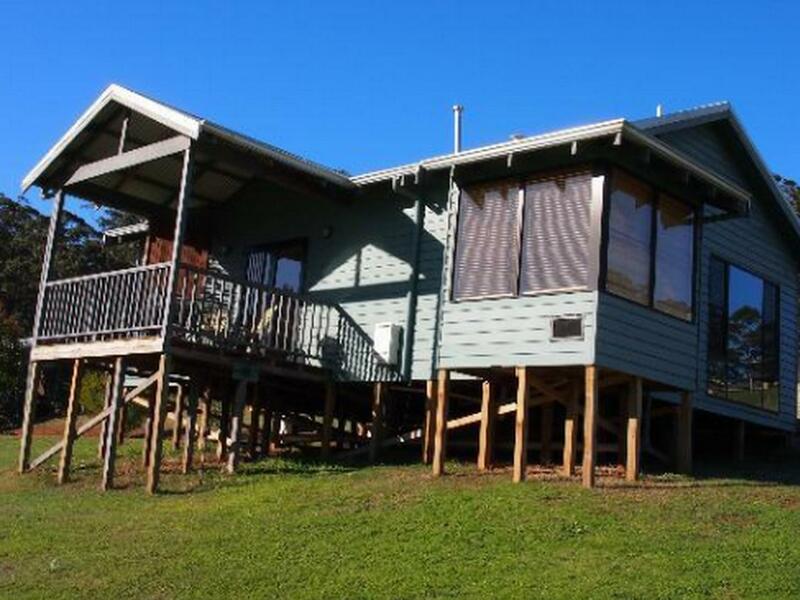 The location is fantastic, it is a reasonable walk in to town along the bibbulmun track, and close to mountain bike trails. Wineries and restaurants close by, and the chalet has great facilities. Great stay in the chalet. Friendly owner. Huge chalet with complete room facilities. Has beautiful view from chalet. Relaxing place. Will definitely go back again.